Maximum security when you need it most. 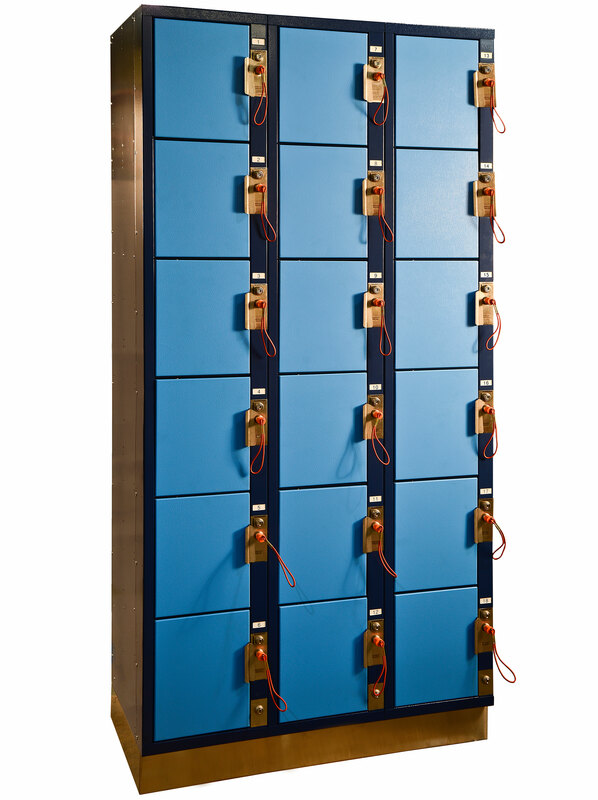 Our Statesman Lockers protect exhibits, legal documents and other evidentiary materials from damage or unauthorized access. Secure locking mechanisms, fewer pry points and our proprietary, 16 million non-duplicative key code combinations has set the standard throughout the industry. Choose from multiple locker configurations and a variety of color choices. Key drop to transfer key custody. Through-the-wall access with the double door model property ensures a secure chain of evidence. Locks: key only, coin, token, coin/token refund. 4” high recessed CRS bases painted black. Stainless steel, cold-rolled steel doors, frames and panels; stainless steel hardware. Stainless steel assembly. Free service with key drop to transfer key and custody for evidence. Key and cylinder removable for replacement. Optional anti-key-turn-back feature. Welded overlapping construction; channel formed with double thickness lock and cash receptacle housing; channel formed and interlocked intermediate cross members. Smooth steel, self-closing louverless, 180 degree swing; channel box formed with reinforced turned ends; two stainless steel spring loaded hinges per door 14 Gauge; stainless steel door closure and handle. Powder coat in a wide-range of colors. Factory assembled by welding frames and doors to the fully assembled body module, three frames or less in width.